Monsanto announces winners for America’s Farmers Grow Rural Education. Monsanto announced that 176 school districts in 35 states have been selected to receive grants of up to $25,000. 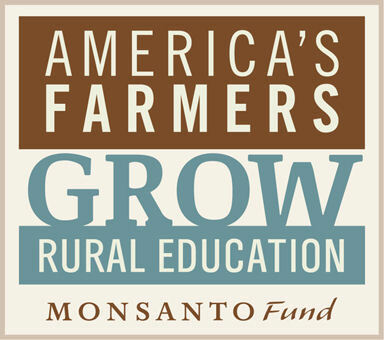 The America's Farmers Grow Rural Education program, sponsored by the Monsanto Fund, will invest $2.3 million in rural schools across the United States during the 2012-2013 school year. "School districts were innovative and creative in their applications," said Deborah Patterson, Monsanto Fund President. "We are really looking forward to seeing the proposals come to fruition and learning how the students benefit from them." After being nominated by local farmers, school districts completed an online application and finalists were chosen by math and science teachers from ineligible school districts. The America's Farmers Grow Rural Education Advisory Council, a group of 26 prominent farmers from across the country, then reviewed the finalists' applications and selected the winners. "Who better to judge the practical content and quality of these applications from rural school districts than experienced, working farmers?" said Jim Andrew of Jefferson, IA, America's Farmers Grow Rural Education Farmer Advisory Council Member. "We devoted many hours at home evaluating and scoring the applications and then met as a group in St. Louis for two days to discuss and select the schools we recommended to the Monsanto Fund for grants. It was personally very rewarding to read the creative and practical grant applications that were eventually selected by our advisory group to receive the grants." There were 176 school districts in 35 states that received grants of up to $25,000. Winners are posted at www.growruraleducation.com and below. America's Farmers Grow Rural Education started with a successful pilot in Illinois and Minnesota in 2011, in which farmers were given the opportunity to nominate public school districts in 165 eligible counties in those two states. The Monsanto Fund awarded more than $266,000 to local schools in sixteen Crop Reporting Districts. Now, the program has expanded to 1,245 eligible counties in 39 states. America's Farmers Grow Rural Education is sponsored by the Monsanto Fund to help farmers positively impact their communities and support local rural school districts. This program is part of the Monsanto Fund's overall effort to support rural education and communities. Another program that is part of this effort is America's Farmers Grow Communities, which gives farmers the opportunity to direct a $2,500 donation to their favorite community nonprofit organization in their county. Farmers can participate in this program through Nov. 30, 2012 by visiting growcommunities.com.